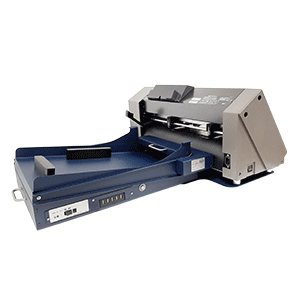 The Label Unwinder "All-in-one" is used to unwind the labels going to the entry of the label printer. 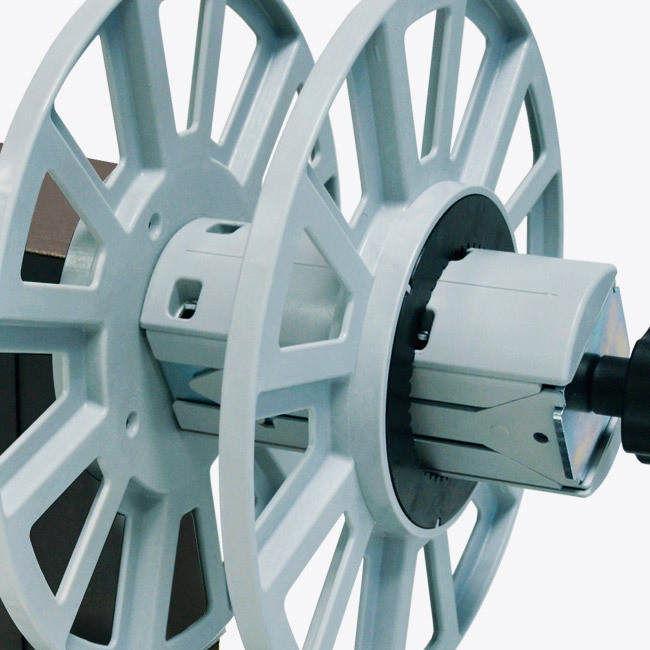 The maximum diameter of the labels’ roll can be up to 250mm (9.84") or 300mm (11.81") while the maximum label width can be up to 244mm (9.60") according to the selected all-in-one’s version. 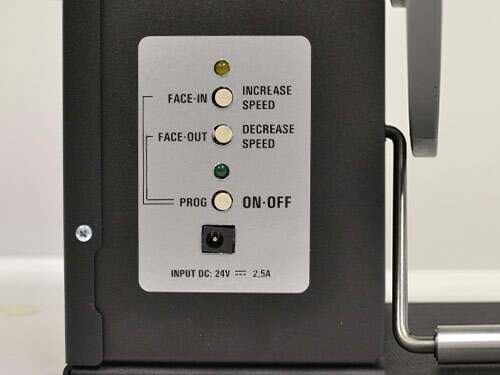 An external auto switching 100/240VAC - 2.5A at 24V power supply allows an electronic circuit to provide, through the tension arm, the adjustment of the rotation’s speed and rotation’s direction. A 2A fuse is used as protection. 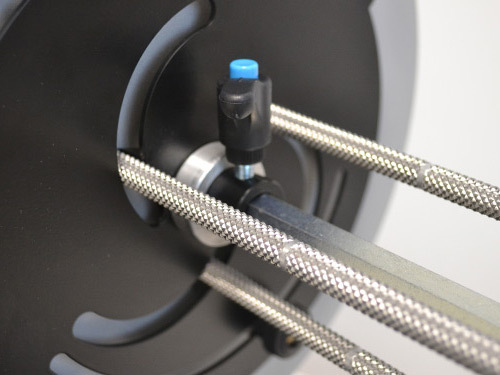 The Label Unwinder "All-in-one" has two types of speed adjustments, through a knob it is possible to decide the maximum speed while the tension arm adjusts the speed from zero up to the maximum speed selected and the sense of rotation. 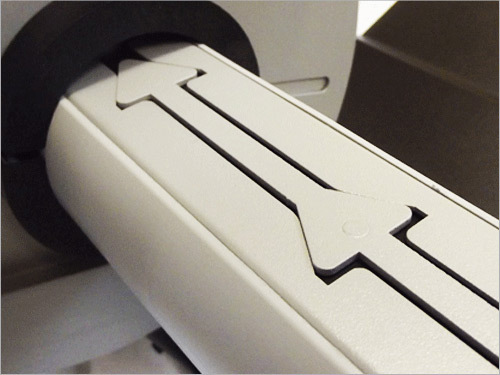 When the printer forwards the media for printing, the tension arm goes up, the "All-in-One" Unwinds the media. 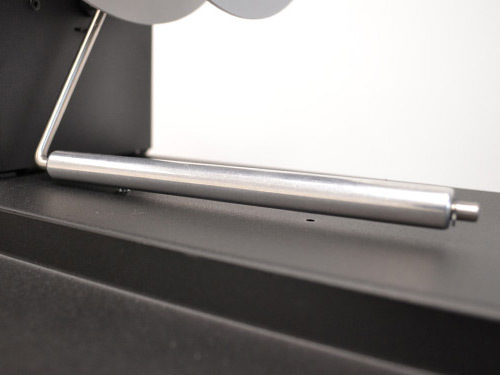 When the tension arm is in the middle position, the device is idle. 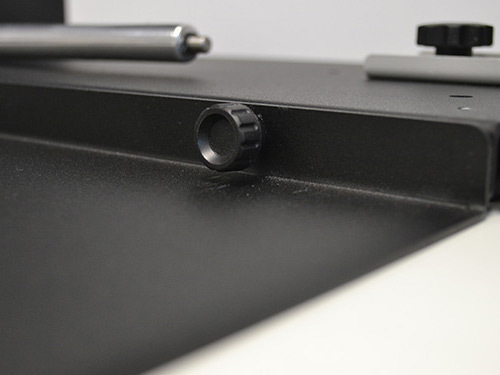 When the printer pulls back the media, the tension arm goes down, the "All-In-One" rewinds it. 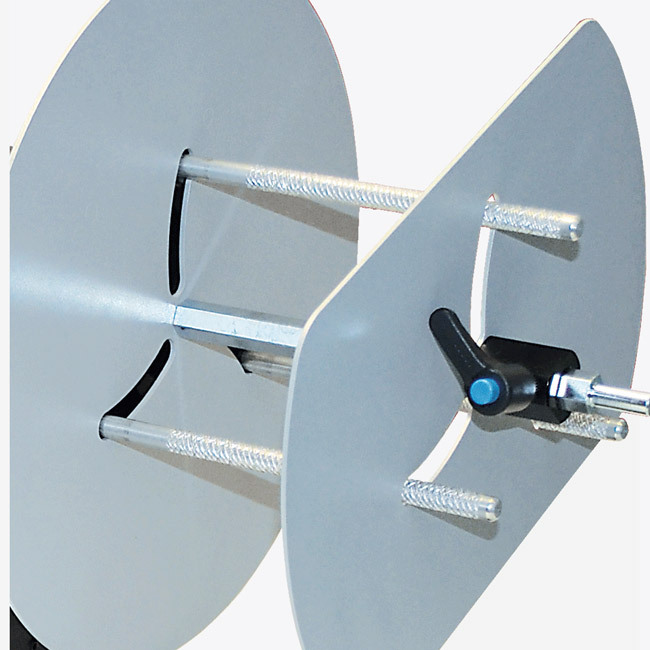 When the roll of labels runs out, the all-in-one unwinder stops by uttering an acoustic signal. 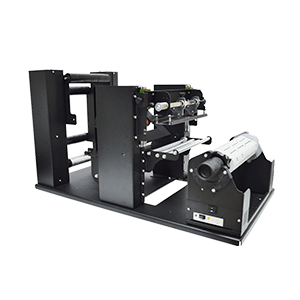 The obtained roll of labels will have the labels face out only. 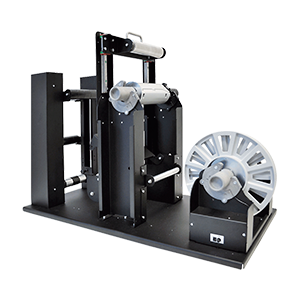 Label Unwinder "All-in-one" Series is available in different versions and every model is marked by its own code. Through the configuration table below, it is possible to select the version better fitting your needs and to obtain the code of the product to order. The support can be added later on. 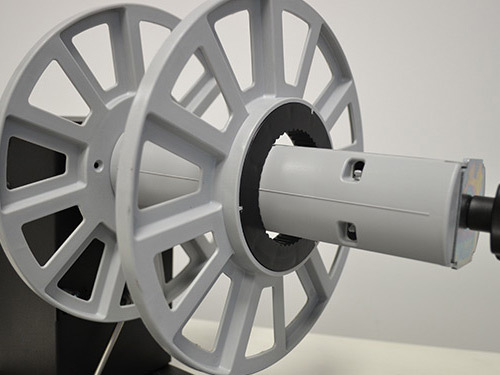 On the 244mm (9.60") label width the support is required whereas on the 174mm (6.85") the support is suggested; If the unit is equipped with support, the core holder is adjustable from 46mm (1.81") up to 118mm (4.64").